Becoming the number one florist in Obetz was no easy task. To accomplish this goal Flowerama offered same day delivery of fresh cut roses, fresh cut flowers, outstanding planters, Cheryl's Cookies, and other flower arrangements to Obetz. We even offered same day express delivery into the area. Did it work? Consumers Choice Awards awarded us the best florist for six years and counting. We are locally owned and operated, with four real brick and mortar flower shops. Visit one of our flower shops near Obetz or call us at (614) 256-6646. 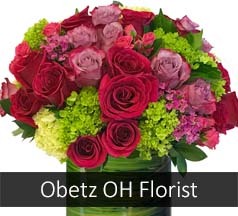 When you call ask about our special arrangement created just for Obetz called "Smile for me Obetz".